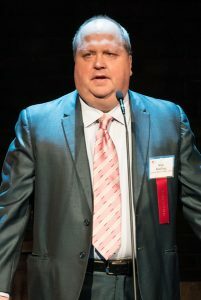 Did you know the Jeff Awards were last Monday? If so, you’re already doing better than me. When I returned from working on Pipeline at Indiana Repertory Theatre, I said to a few friends I was planning on going to the Jeffs, which I thought was next Monday (today). I then had a quiet night in my home, scrolling through Facebook, reading scripts and hanging out with my cat, when my friend came over. 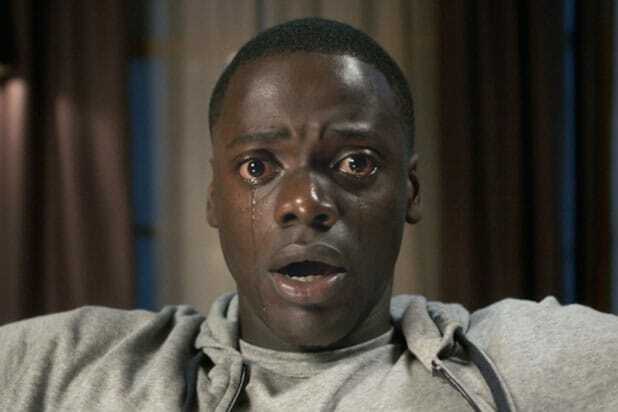 “Hey!” She said, wine and cheese in hand – how any good friend should arrive at your door – “My boyfriend is at the Jeffs so he won’t be home for a while!” At this point, imagine me, going to the sunken place à la Daniel Kaluuya in Get Out. You see, I wasn’t just ATTENDING the Jeff Awards. I was writing about them for my beloved LGBTQ press outlet The Windy City Times. So how in the hell did I, who makes theatre, is in theatre, AND writes about theatre, miss the Jeffs?! See, the Jeff Awards eliminated gender categories (oh?) yet still managed to give all of its design awards to men, and about 75% of the remaining awards to… more men (oh.). In addition to that, there are very few people of color on the Jeff committee itself. Though I had some collaborators I respect who were nominated, I knew very few people up for awards overall. Therefore, when I said cheerily to people that I was going to the Jeffs next week, nobody questioned it. Not one person. Because for many of us, the Jeffs are something that happen for other people. My impression of them is of a group of (mostly) white (mostly) dudes nominating other (mostly) white (mostly) dudes. When I missed the Jeffs I promptly mass texted all my friends and wondered HOW?? I collected quotes from them, and also from people in the community who were there that evening, that help to explain the divide between the Jeff Awards and the community they are meant to serve. “Do more shows like this with all women and people of color. Otherwise, we will continue to disrupt things! 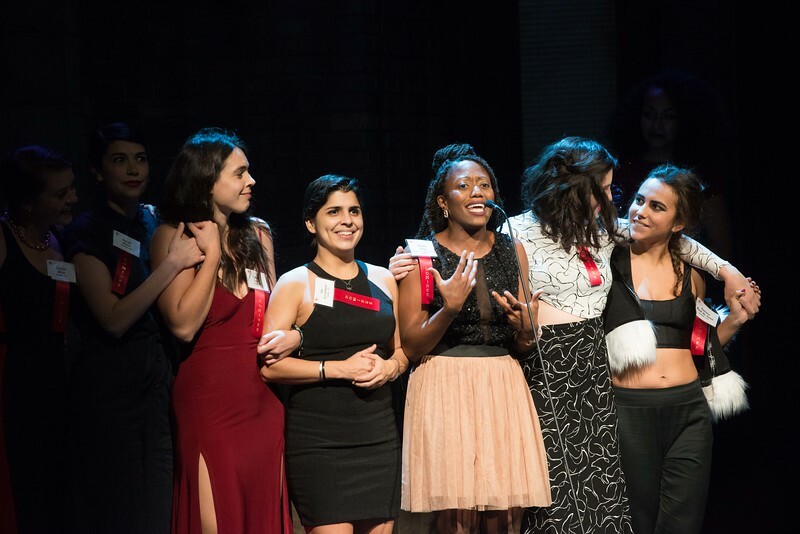 !” – Angela Alise speaking on behalf of The Wolves at the Goodman, which won for Best Ensemble (pictured above). “I’ve been on the AT team for over a decade. I see it as community service. I hope my recommendations are getting them to look at elements or artists they might overlook. I always had fun at Theater Prom and it’s super disappointing that its all in theater venues now. Beyond a fun event once a year, I think if the Jeffs wants to be truly relevant we need to radically evolve.” – Lili-Anne Brown, Director. Winner of Best Direction of a Midsize Musical for Buddy Holly at American Blues Theatre. “‘Ragtime’ is about change. It’s about progress for women, for immigrants and for the African-American community,” Bowling said. “For me, that production was about how we haven’t come very far. Sadly, I’m the 100th white guy standing up here tonight.” – Nick Bowling, Director. Bowling won a directing award for Best Musical (Large) for Ragtime at the Marriott Theatre. “The Jeff’s don’t matter because they literally don’t matter. The TONY nominations come out most often while shows are still running. It translates to box office. Same with the awards. It translates to dollars. It translates to jobs. This isn’t the case with the Jeff’s. So what’s the point? For fun and recognition? GREAT! Those are valuable things too! So make it more fun by throwing a party, not a plastic statue giveaway and give more balanced recognitions by evolving the group to be as diverse in gender, race, and age, as the community it is attempting to represent. – Behzad Dabu, Actor. “I think one of the best things the Jeff Committee ever did back in the day was hand out cash to winners. That’s the stuff that can change a person’s year; getting your rent paid by an organization is an amazing thing. But making people who’s shows are nominated pay–a process that was adopted in 1991 after The Jeff committee put themselves into debt as reported by the Chicago Tribune, and then asked the community to make up for it by paying 50 dollar tickets the following year–has always struck me as odd, and the fact that a Jeff recommended show means that dozens of committee members are entitled to free comps, depriving some theater’s of making money because of the number of seats they now have to give to the committee as comps….It’s a process that really could be easily fixed. Most chicagoans outside of the community don’t know what a Jeff is, and no one on a national level recognizes it, so if this is about lifting our own people up, then the fixes should really benefit the people within our community instead of asking us for more money ( or only recognizing white men with the final results.) If an artist living paycheck to paycheck can’t even afford to walk into a space where their work is being honored, what’s the point of it? ” – Ike Holter, Playwright. The Jeffs did not seem to be heavily celebrated or promoted within my artistic community. The most coverage I’ve seen on social media was after the fact, from people who were nominated or had collaborators nominated at the event, and they seem to feel rather badly about it. I see the femme and POC folks who DID win feeling like they can’t even celebrate themselves on social media. Every congratulations is choked out by a condemnation of the voting and nomination inequities. Listen, if you won, congratulations from ME. The odds were against you and you triumphed. As for The Jeffs? We’ll just have to see if their membership and voting practices can catch up with the times.